The iPort Surface Mount with Buttons combines the richness of apps with hard buttons that provide immediate access to critical control system functions. 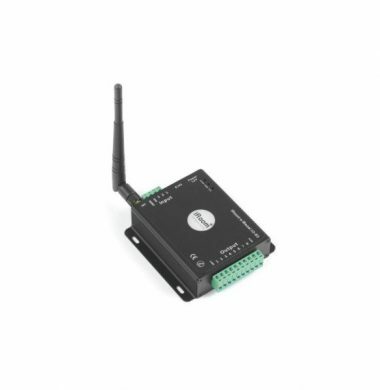 Connect directly via ethernet to IP to many control systems to add a better, more elegant user interface. 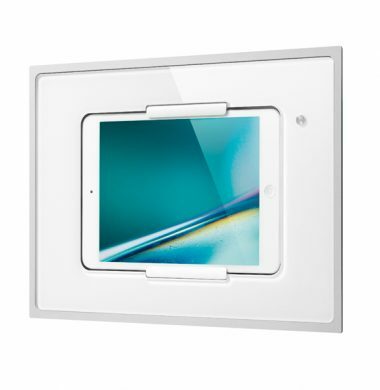 With just one ethernet cable, power iPad and provide power and data to the IP keypad for simple installations. It has arrived!! 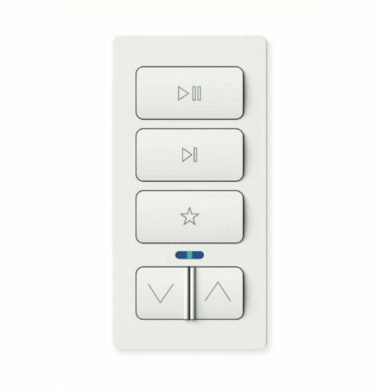 The iPort xPress Sonos Audio keypad. The fantastic new iPort xPRESS Sonos Audio Keypad which gives direct WiFi control for any Sonos device. 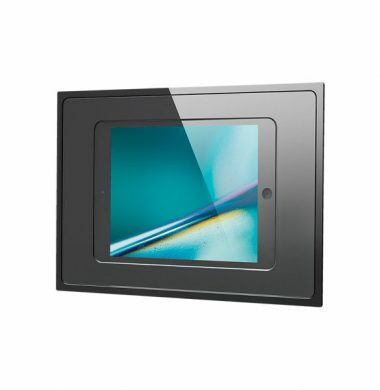 Small enough to fit in the palm of your hand but elegant and slimline for magnetic wall mounting in its housing. Use in your hand or on its wall mount it’s so easy to grab and go, with the magnet inside of the keypad you can mount the iPort xPress keypad on any metal surface from your refrigerator to the work bench to the corner of most walls, xPRESS can be easily mounted in most places. 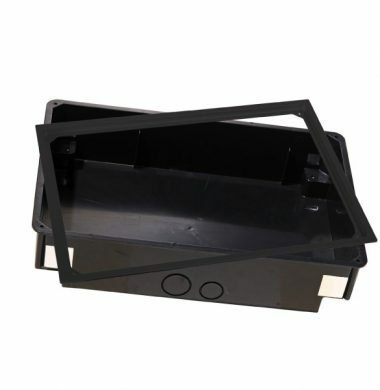 Use the iRoom Back Box (BB-B) Installation Box For Landscape and Portrait iDock and for Installation box for all iRoom iDocks. 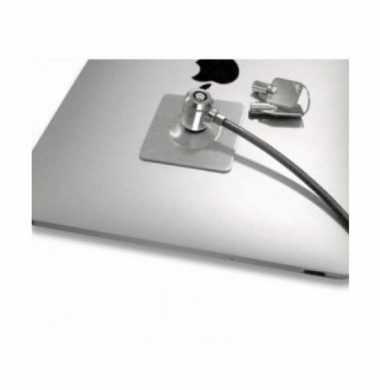 This iRoom FIXDOCK-SECURITY-KIT consists of a Glue-on locking plate with a built in security slot and a steel cable (20cm) to assist in the retention and security of your iPad if it is located in a public area. The fixDock-iPad5 for iPad Air 1 & 2 and the Pro 9.7, is a stylish permanent in-wall solution (iPad is not ejectable). The tablet is continuously charged by the original power adapter (not included), so is always ready for action! 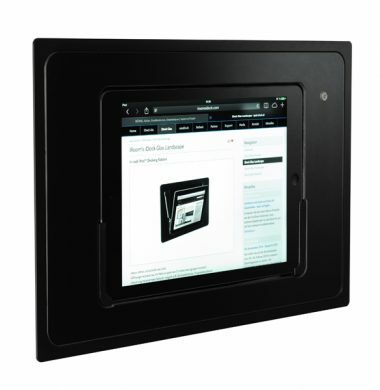 The fixDock-iPad5 unit can be installed in portrait or landscape orientation to suit your requirement. It has a glass bezel in either Black or White and includes the back box with an aluminium frame. For peace of mind, a security kit accessory is available to prevent theft. 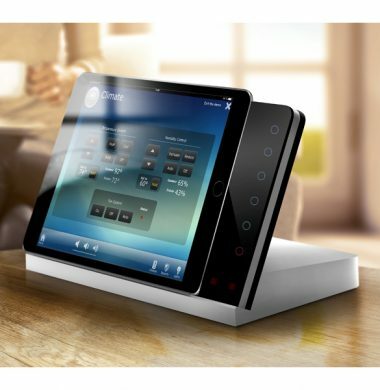 The iBezel-5 from iRoom is one of the most elegant in wall iPad motorised docking solutions. Whilst housing your iPad in a wall mounted position the dock simultaneously charges your iPad, so it is always ready for use. With its simple touch button controls, the iBezel-5 there is no wake required for your iPad, the buttons offer quick access and action. 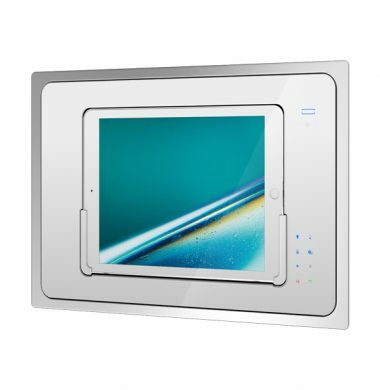 As with all iRoom products the iBezel is fully conversant with major control systems offering professional wireless touch functionality through the iPad®, paired with immediate access to hardwired keypad controls. iRoom’s iO 83 Relay Card can be used in connection with iRoom‘s iBezel ot new iTop. The installation of the iO 83 Relay Card facilitates the easy integration of new or existing electric devices to your digital home automation system. With its easy configuration through iRoom‘s iBezel App the iO 83 Relay Card is the inferface to other systems like KNX and many more. 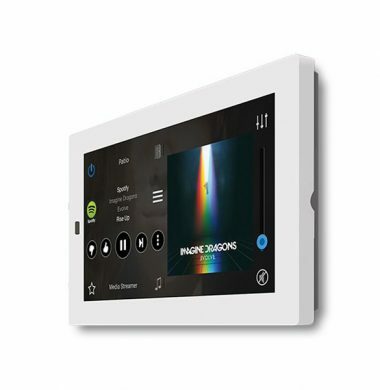 The combination of iRoom‘s iBezel and iRoom‘s iO 83 Relay Card enables the iBezel to work with all electrical devices offering professional wireless touch functionality through the iPad, paired with immediate access to hardwired key access controls. iRoom’s iTop is the most recent addition to iRoom’s iPad Docking Station range. iRoom’s iTop is the first iPad Pro compatible docking solution in the industry. But is at the same time compatible with the iPad Air and iPad mini models, this through a very innovative method of adjusting the Lightning connector. iRoom’s iTop has many intelligent functions such as lights, blinds, source select or volume can be controlled by simply pressing a touch button. No need to unlock the iPad screen, open the control app and find the right control. 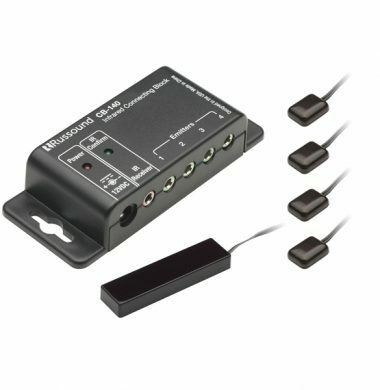 It also features six Quick Keys for instant access to control functions independent from the iPad. iRoom‘s miniDock4 is a stylish motorised dock for your iPad mini4. 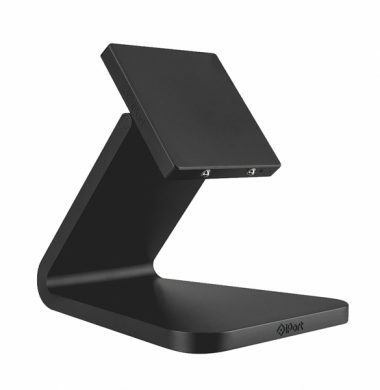 The miniDock4 can be installed into the wall or into furniture for example a sofa arm area or a worktop desk location. 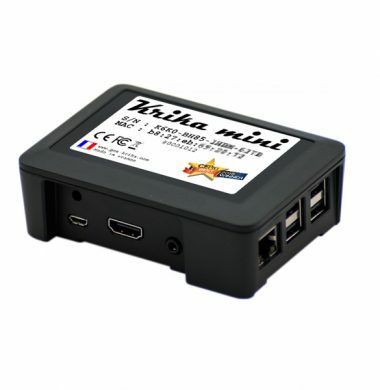 It is possibleto install the miniDock4 in a landscape or vertical orientation. It also has a lightning connector. It features PoE which means if your power supply is located remotely from the docking station location, you can use PoE to power the dock. 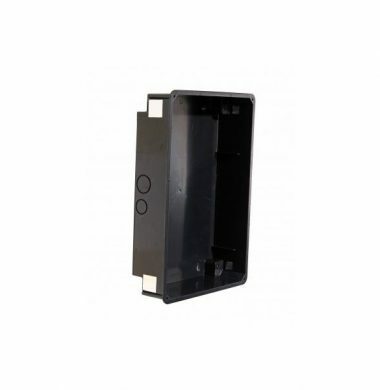 This makes installation very easy with no need to install or move mains power connections. The dock is finished with a beautiful glossy glass bezel in either black or white. Its your choice. Your iPad mini4 is continuously charged while the full functionality of your iPad is available. Whether as a music center or TV via streaming, as an electronic photo frame or as Control panel, the possibilities are almost endless. You will need to purchase the compatible installation back box for a complete install. If the dock is installed without the recommended back box the two year product warranty is invalidated. 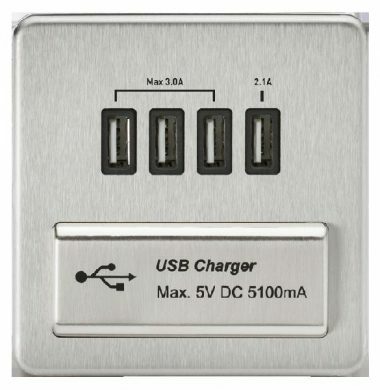 The Knightbridge Quad USB Charger has a stylish brushed chrome faceplate with soft rounded corners, which create an aesthetically pleasing design as well as being an extremely functional piece. 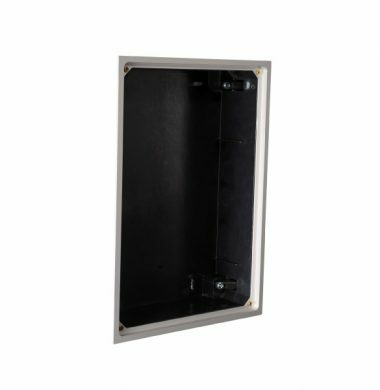 Where there is a shortage of space for bulky USB charging plug adapters, this plate can facilitate the charging of 4 units whilst only requiring a 87 mm wide space for installation.The minimum mounting box depth for installation is 25mm. 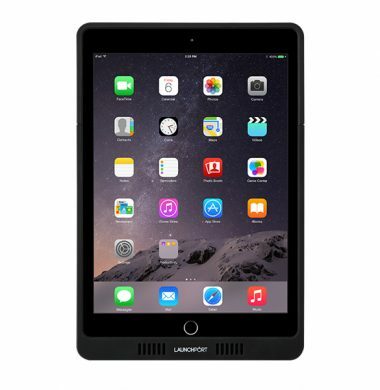 The LaunchPort AM.2 Power Sleeve for the iPad mini with retina display is a robust case/housing that integrates with LaunchPorts’ revolutionary inductive charging system. This unique product enables you to mount and charge your iPad Mini anywhere around your home or office. All you need is a PoE supply. The system consists of a Charging Station (sold separately) and a Sleeve. The charging station is available in a wall mounted or desktop option. LaunchPort uses the magic of magnets and induction charging (charging through the air), it’s like magic. Upgrade your AM.2 LaunchPort iPad sleeve with this new Button Control head end for your sleeve. No longer will you need to ‘Wake Up’ your iPad or navigate to the control App and find the control, just activate using the hard buttons. Providing immediate access to key controls. The LaunchPort AP.5 is the new sleeve for the iPad Air with the Apple Lightning connector. The revolutionary new industrial design sleeve is the thinnest, lightest and most protective sleeve LaunchPort have ever made. The AP.5 sleeve work with any wall station or Travel Stand, which are are required additional item for charging. The AP.5 is also compatible with the Apple Air2 but does require and additional product , 700300-Air2 which is free of charge but should be added to your cart. 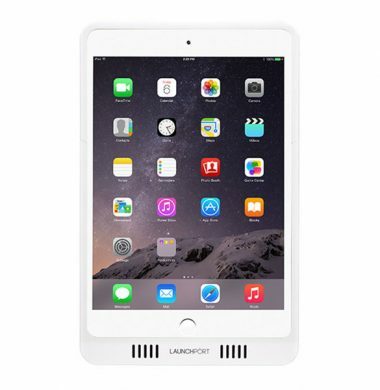 The LaunchPort system is a revolutionary way to mount and charge your iPad anywhere. 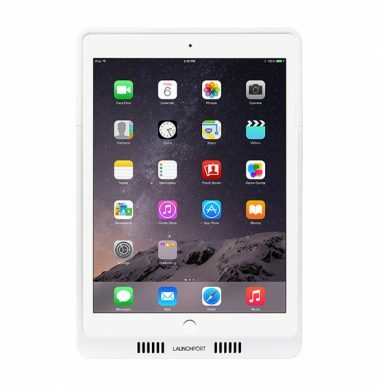 The LaunchPort AP.5 is compatible with iPad 5th Generation including Air models and the iPad Pro 9.7″. 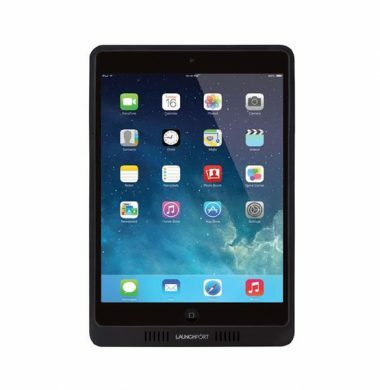 The LaunchPort AP.5 is a 2 part robust sleeve that fits securely around your iPad, offering protection whilst still being aesthetically pleasing and with its simple design it is very comfortable to handle and use. 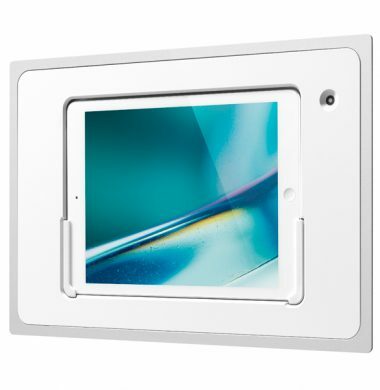 Whilst your iPad in securely housed in the Power Sleeve you can walk around your home and access all iPad functionality wherever you want, providing the you are within Wi-Fi range. Once you have finished using your iPad, simply attach it back to the LaunchPort Wall Station or LaunchPort Base Station and you iPad will begin to recharge via the magnetic inductive charging system ready for when you want to use it again. iPort have introduced a new addition to their range of iPad charging solutions. The LuxePort Desk Mounted BaseStation is not only elegant and beautifully built, it incorporates the practicality of continuous iPad charging, secure install features, the ability to remove the iPad unit from the charging station if required, and the luxurious look and feel of precision machined components that are finished by hand. This really is the next level of iPad charging and mounting. This Pure, PU9901 single gang, USB charging socket is the perfect solution for charging iPads, Smartphones, iPods, cameras and other USB chargeable devices. 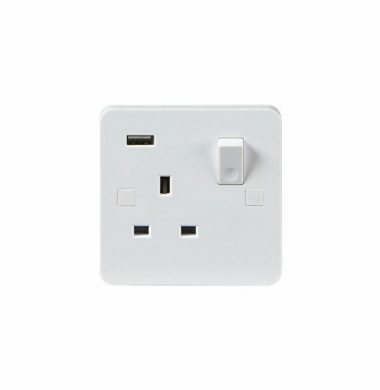 Whilst still leaving your main plug socket free to use with any other electrical item. No more lost charging plugs, or unplugging the straighteners or kettle whilst charging your phone.